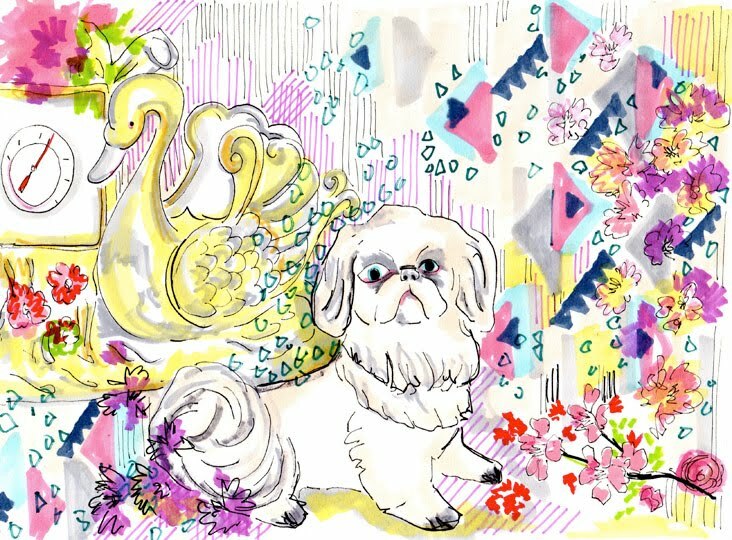 June 30, 2010 in "dacshcung", "dogs", "drawing", "pucci"
Finished off a commission today. He looks good, I hope they'll be happy with it. As well as that I've been drawing, again!! I think that it is possibly my favourite thing to do. Even more so than embroidery. As with yesterdays canine, todays also wears a headscarf. My internet search for "glamorous women wearing head scarves" gave me lots of pictures of the Queen!! Not so much glamorous, but still she has style. I've always secretly like Dot Cotton's outfits! I think it's 'cause she's always matching. Now these have plenty of style.